On paper, Marta does not fit the mold. Born and raised in a conservative Catalan family, Marta grew up doing everything by the book, until she didn’t anymore… After graduating with honors from Art Center College of Design in Pasadena, California, she worked extensively as a professional designer in Los Angeles and London. Later Marta started her own creative business and eventually traveled the world with her husband and three children. 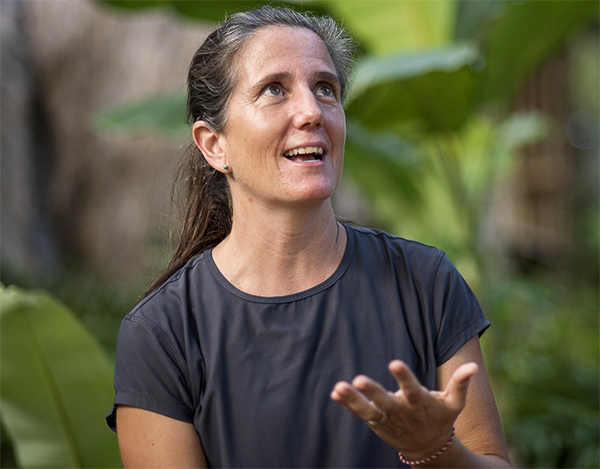 While traveling, she landed a job as an educator at Green School in Bali, Indonesia. It was over the course of the two years at Green School that Marta’s passion for design and education fully merged and translated into transformative learning experiences with Elementary and High School students. Coming from deep within the design world, Marta never planned to dive into the depths of education. Marta’s creativity and knack for thinking outside the box, her capacity to connect seemingly disconnected dots, and her natural instinct to decode individuals and processes have inherently brought her to reframing relationships with learning and to guiding organizations and individuals through deep transformation. Marta’s solid Design Thinking foundation and experience have become a guiding principle of enormous value not only in her personal life but also professionally as a designer, an entrepreneur and an educator. Whether facilitating problem solving with students or teachers, working with administrators seeking pathways to transform their organization, or connecting with parents to reframe learning, Marta’s candid practices and keen eye make us call her our people whisperer and design guru.